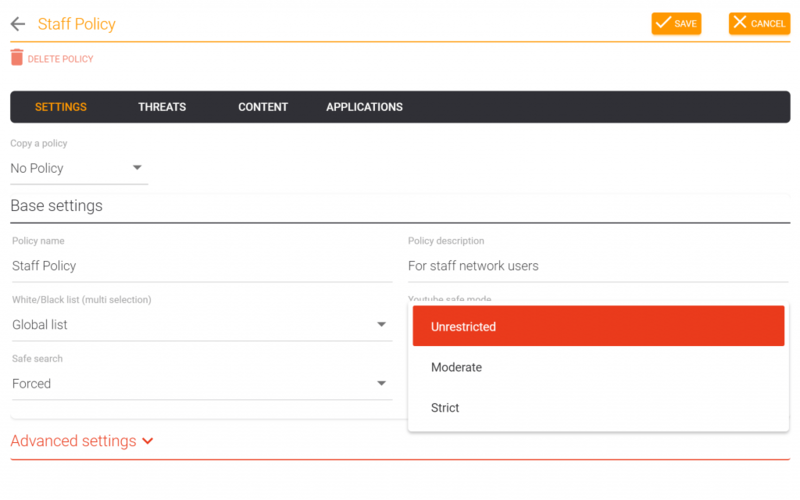 Manage your content and security controls from a single screen whether you have one campus or a thousand. Each campus can have up to four different network and policy settings allowing a high level of control within the same campus. Rest easy knowing your locations are protected by one of the largest URL and domain databases available benefiting from up to 60 million new URL scans daily. 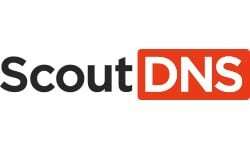 DNS filtering provides a powerful layer of security to prevent ransomware, phishing scams, and specific DNS protocol based attacks. Control application access on your network to better manage bandwidth and user behavior. Protect users from inappropriate content within search engine web, image, and video results. 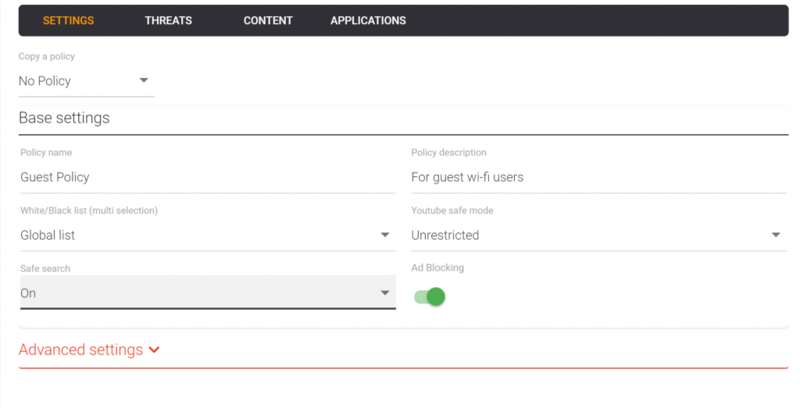 Take advantage of YouTube content controls supporting all protected modes. Filter mature videos from YouTube on networks even when you have no control of the end user devices. Web based ads are more than just inconvenient, they are an actual security risk. Additionally, ad based content can be mature in focus. Reduce these risks with our Ad Block feature. Resilient cloud based service is easy to setup and powerful in scale. Get access to real-time logs with full export capabilities to better track activity by location and network. Take complete control of allowed and blocked sites through custom lists.